Wow, I love the way you braided your yeasted meringue cake, and salted caramel is one of my favorite flavors! What an excellent job you've done for this challenge! Your choice of filling sounds heavenly, and your braid is gorgeous! Wonderful job, as always! Yur braids look awesome. I can barely braid my daughter's hair, let alone dough. Well done. What an amazing job you did braiding this incredibly delicious looking cake! WOW you really went all out with this challenge I love the idea of your local 'Danish' flavour profile Tarte aux Noix I love how it is spelled so many X's. 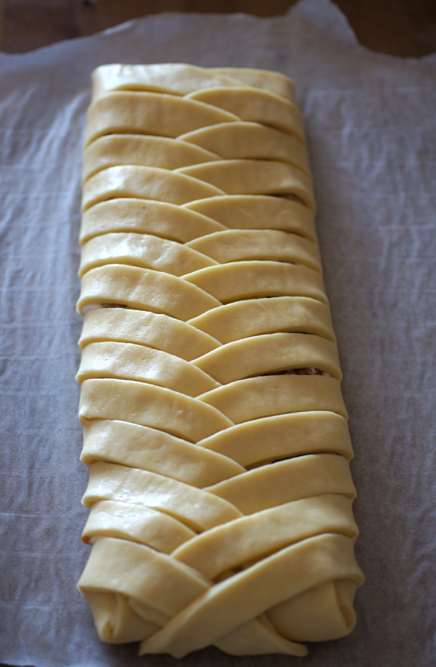 And the photos are excellent I like the one of you braiding the dough superb work on this challenge. Your braided loaves look beautiful, and that filling sounds absolutely divine. That caramel - wow. Awesome, awesome job on the challenge. Looks beautiful! Are you familiar with the Bündner Nusstorte (translates into tarte aux noix des Grisons)? 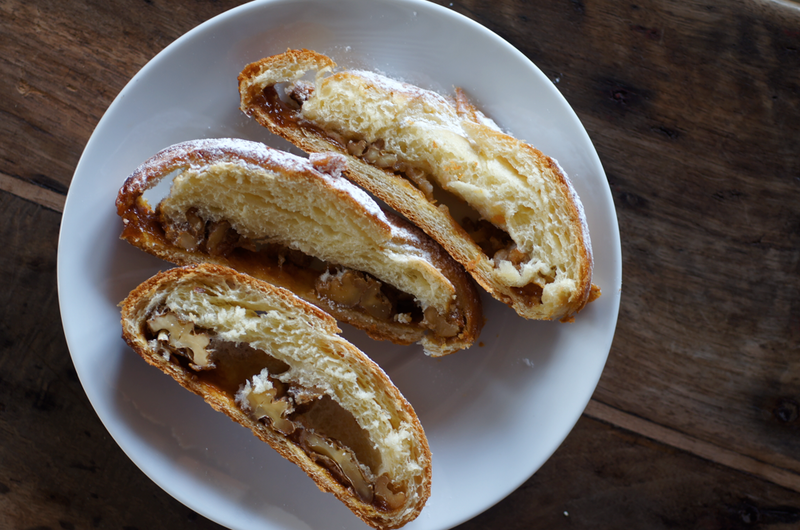 It looks and sounds like the Verbier boulangeries/patisseries are making "open-faced" versions of them. 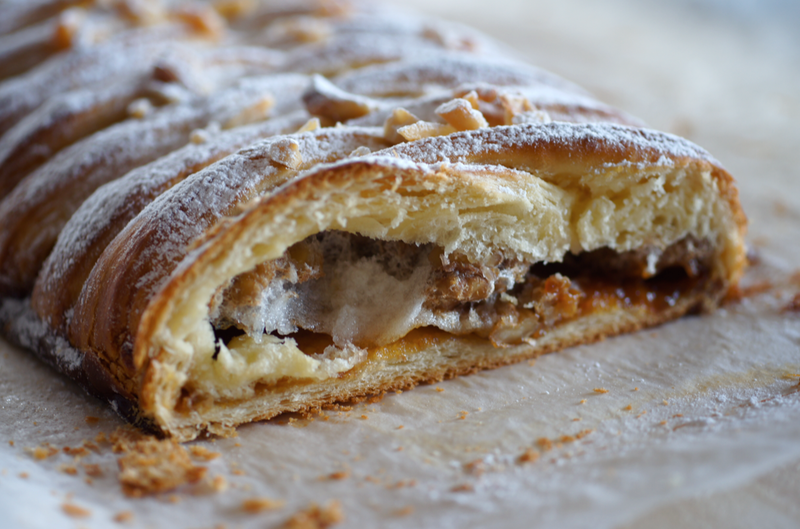 Check out the entry on Wikipedia (http://en.wikipedia.org/wiki/B%C3%BCndner_Nusstorte) and this recipe for the regional specialty (http://en.graubuenden.ch/gastronomy-switzerland/specialities/graubuenden-nut-pie.html?L=2&season=2). This is just my kind of filling and I just love the braiding. Beautiful pictures too. Bookmarked to make! It's a fantastic way to do the challenge! This looks so elegant. A lovely idea with the salted caramel. Yum! Omg looks outstanding and wonderful finish. the filling is just making me drool cos i love caramel..this is just fabulous. This looks brilliant! 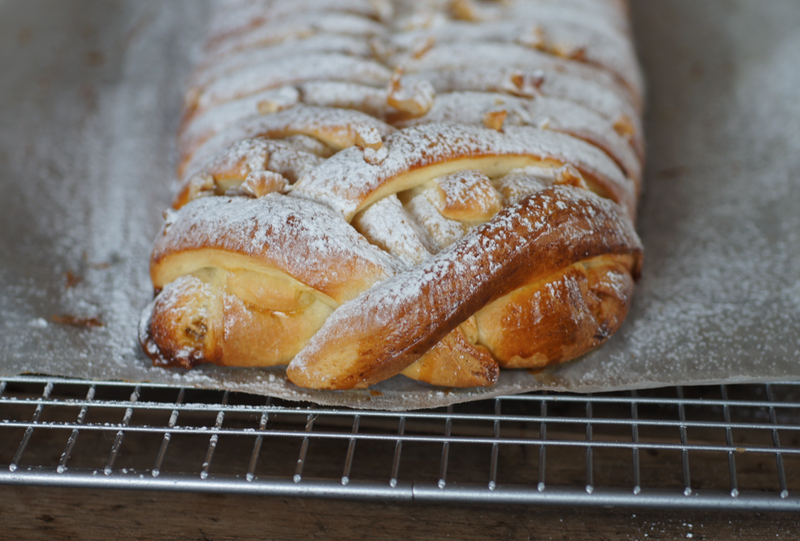 I am definitely going to be trying this bread in so many different ways, its a keeper! 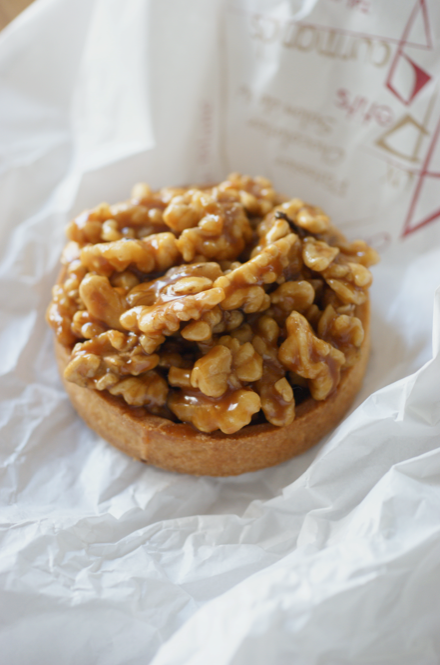 Love what you did with the caramel and walnuts. And thos braids and the little tarts look gorgeous! Beautiful.. love the crisscross wreath log! and the flavors are just stunning.. my mouth started watering looking at the tart and the caramel photos.. YUMM! Looks so beautiful. As "caramel-lover" I would like to try a piece of it - right now! 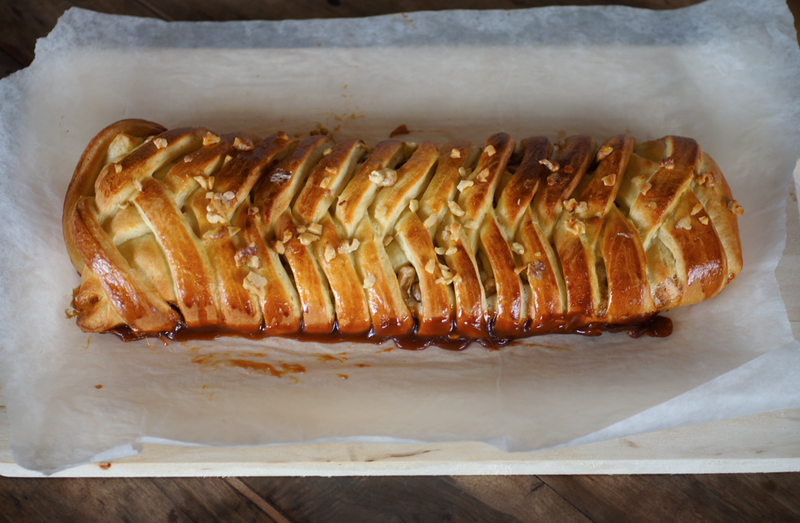 Caramel and nuts sounds like a wonderful filling, and your braid is beautiful. That tartlet you bought is lovely: no wonder you were inspired. Your yeasted cake looks so perfect and beautiful. I love the caramel + walnut flavor - delicious! OMG. You had me at salted caramel. This is gorgeous. I love your interpretation of the challenge and the braiding...Love the braiding. Your cake looks much sweeter than mine which I like because I like sweet. Can't wait to try it! Thanks for sharing. Wow. Every part of this is a big wow from me! The flavor sounds amazing, the braids are beautiful, and the finished slices look divine! 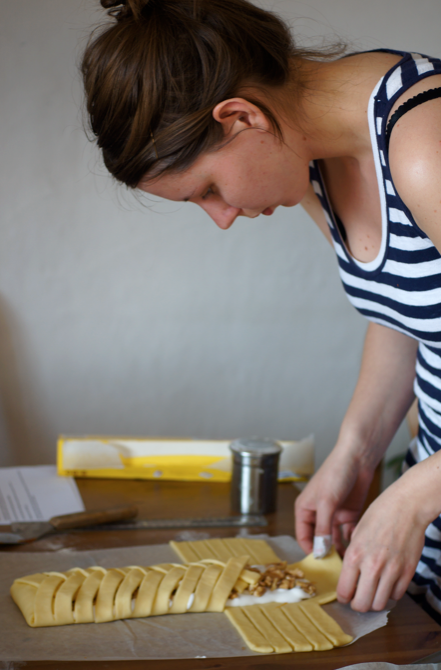 Please let me knpw when you are making this again - I would love to come test it out for you!! Fabulous work on this challenge! Your meringue cake is superb. Wow, the braid looks out of this world! It's so neat and perfectly done..fabulous work. Beautiful and mouthwatering! Wonderful job! 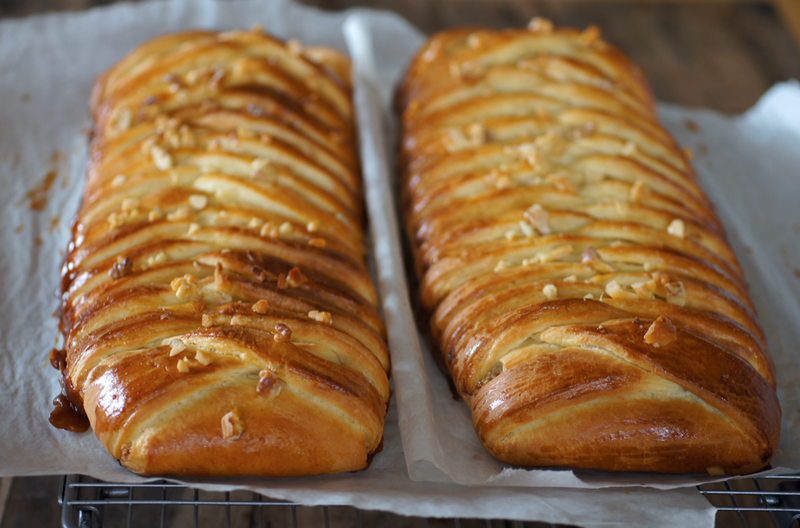 The braid looks beautiful, and I love, love the flavour combination - salted caramel and walnuts sounds mouth watering. such beautiful braids! really an awesome looking cake. 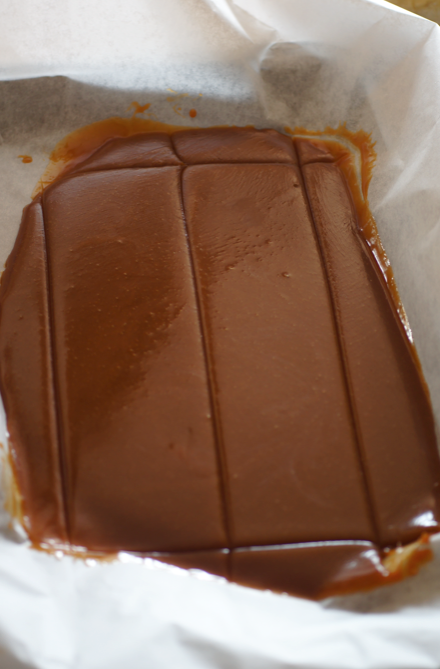 What a lovely combination of flavours (I heart David Lebovitz's salted caramel). Gorgeous braiding too. Well done on a great challenge. Really beautiful and it must taste as good as it looks! Wonderful! Your cake looks so beautiful and the filling sounds really delicious. Oh my! that looks so delicious! There is one coming up in June, it is an incredible tour. 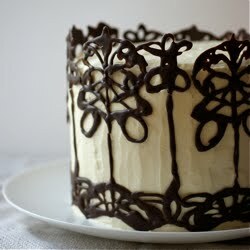 This is beautiful...i've never seen a coffee cake quite like that! it looks so much more elegant than the average. Well done on all of it, really! 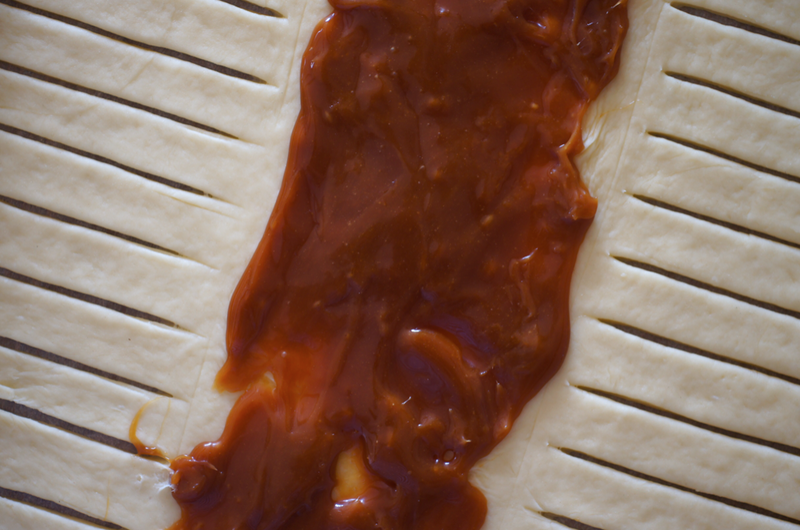 The salted caramel.. dreamy. I did something with caramel pecans for french toast once.. isn't caramel just... dreamy? The pastry looks total pro! Wow. You're awesome. Great talent on here, thanks for sharing! Absolutely stunning! Your cake looks gorgeous and your braids are perfect. I just made some salted caramel macarons with a hint of lavender and I'm sure lavender would go really well with your salted caramel coffee cake too.Thank you for leaving me a comment on my blog I've also replied about the template. We froze some for me for later. I defrosted it and then heated it in the oven for five mins. It was delicious. I'm so glad to find your blog. Now I know how to surprise my husband with new culinary masterpieces!